You are less than 32 years old, and you would like to discover New Zealand more like a citizen than a simple tourist, enjoying the country with their people instead of with only roommates in backpackers from Europe, you should choose the working holyday Visa, allowing you to stay, traveling and working in the country between 6 and 12 months. You will probably have to apply for a traveling insurance during your journey. They are usually quite similar and around 400€ per year. We have chosen Globe Partner, and did not use it. Make sure you did all the necessary things with your French bank. Check how much they will charge you for the bank transfer from France to NZ. If you spend some time on internet you will be able to find some banks as “ukforex” which won’t charge you any fees if your transfer more than 10000€. Buy all the technical staff you need before to come, that’s very expensive here. And don’t think because Merino wool comes from New Zealand, it will be cheaper here, that’s wrong. Have a nice dinner with good cheese, good bread and wine before to come, you will miss some of those things here… Even if New Zealanders make good wines but it’s so expensive that you won’t enjoy it often than in Europe. To sleep with your tent or in your campervan for very cheap ($6-$12 pp) or for free, go to the Doc campsites. There are 2 brochures about all the DOC campsites in North and South island, and how to find them. Ask for the DOC office in Auckland’s harbor. Sometimes it’s good to have a nice sleep in a backpacker. Like that you can enjoy a shower, a real kitchen and you can meet a lot of nice people travelling like you, with who you can have advices, have a drink… or share a part of your trip…who knows?! You can sleep for free in the walkways car parks (Doc or council car parks) if there is no sign with “no overnight” at this place or at the town’s entrance. Doc sites are the places to find toilet & water. Mostly composting toilets, they are always or often clean and with toilet paper inside. They advise you to filtered, or boiled the water before drinking, so a coffee filter can help you. To have a warm shower during your road trip, go to the beach’s showers in summer, or to the public swimming pools, they will charge you between $2 and $5 for a nice and warm shower. In some harbors, you can also find hot showers, don’t forget your cash to have hot water. You need an internet access to check your mails. Go to a library, most of them have free internet wifi and it’s a warm place to stay and also read a book, news papers… That’s also the place to find a book for sale between $1 and $2 and thus improve your English. Other solution, park near a Telecom phone box with the sign free wifi. In some beaches, you will find public barbecues. Like in Australia, it’s cultural, some are free, if not, they will cost you only $1 or $2, so help yourself and enjoy a different diner. Buy vegetables, fruits and eggs directly on the road. People sale them on their gate thanks to an honesty box. That’s cheaper and mostly organic or spray free products, and free range eggs, so be honest and pay into the box if we want to still enjoy good food for cheap. To buy good vegetables and fruits in town go to the Farmer market usually on Saturday or Sunday. You can find some apple, pear or peach trees on the road, so just help yourself reasonably. Here the nature can be generous, so if you like fishing, take your fishing rode with you. The sea and the abundant rivers are waiting for you. Seashells, like mussels or sea urchins are also really easy to find in some places, and often good to eat. So be honest and look at the fishing board to know how many you are allow to pick up, and enjoy your fresh and free food! Don’t forget to thanks the generous nature. If you know about mushrooms/fungus, New Zealand needs you! We have seen so many mushrooms everywhere, but we couldn’t pick them because we didn’t know if they were edible or not. Nobody here has been able to help us, it’s not cultural and there is no book about edible New Zealander mushrooms. You like hiking/tramping? New Zealand offers a lot of tracks, for couple of hours or several days. The most famous tracks are the “Great walks” but you can find good tracks everywhere. When you start hiking for 2 days or more you can sleep in the Doc camps or Doc huts in the track. Take enough cash with you to pay directly there or book your night on internet or in the DOC visitor center if it’s a busy period. Really motivated? There is a Hut pass for 6 or 12 months that you can buy at the Doc Visitor Center. Awesome deals! If you have time and your are not really organized, go to have a look on those websites, you could have a great surprise and find a cruise on the Milford sound for $20 or experience the speed jet boating in Queenstown for $60 instead of $120 pp. 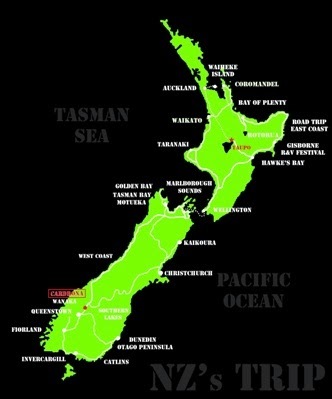 · www.bookme.co.nz very good deals for all the activities in each region. · www.grabaseat.co.nz for cheap flights inside New Zealand. Buy a ticket 2 months before and cross the country for only $1. If you need some staff for cooking, working or just for your trip, go to the second hand shops and the hospice shops. In the “Salvation army” family store, or recycling center shop you will find everything for nothing. You can find some interesting offers in the notice boards of the backpackers or supermarkets as well. But before to buy a campervan or a car, go to do a check in a garage (between $40 and $80), to save you from a bad surprise. The car insurance is not obligatory in NZ but it is always better to have one just in case, especially if you plan a 1 year trip. We chose Itower on internet, but there are probably some other options. For 80 NZ$ per year take the AA card to have a free road service and save between 4 and 6 centimes/ltr when you buyyour fuel in Caltex or BP petrol station. The AA NZ illustrated travel atlas is a good book to help you everywhere you want to go thanks to its general map and its city and town maps. It will give you further information about wine trails, ski fields, history and climate of each region as well. And you will know the “101 Must-do’s for kiwis”, the best places to go, and activities that kiwis like to do. It is very easy to open a bank account in NZ. Eftpost card is the more popular and free in most of the banks, but you can’t pay on internet with. Travelers choose mostly the kiwi bank which has good services and use the same office than the post office, which means that you can find some everywhere in the country. But if you need cash and there is no automatic distributor, just go to the first café or 4 square and ask for cash out with your eftpost card. Do you like music? There are some good music festivals in NZ, especially the Rhythm and Vines festival for New Year and the Womad World music festival. Apply directly on line to be volunteer during those festivals and get a free pass in exchange to some hours working there. Then enjoy! In Wellington you can enjoy a live music almost every night… One of the places to go… the Meow. Park on Victoria Street near the Mac do, cross the BNZ pathway and you will find this incredible bar, with a local and casual atmosphere. This organization is well developed in NZ and you can find a place to stay everywhere in the country. Why do some wwoofing during your trip? 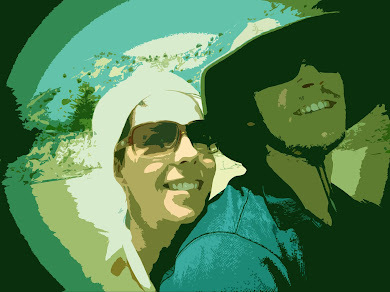 · Because you will meet very interesting and nice kiwi people and spend good time with them and their friends. · Because you will learn about ecology and another way of thinking and living more respectful for the planet and the nature. · Because helping them you will learn new activities and jobs like how to work wood, earth building, how to make cheese and yogurt, and you will enjoy improve your general knowledge. · Because you will eat good and healthy food, it’s a good experience to take some recipes. Think about the mosquitoes and sandflies, there is too many, especially in the summer time. Take some lavender oil with you; it’s a good natural product against the itching. Sun screen & hat are essential to protect your skin from the strong NZ sun. Don’t be silly! Je suis au point je peux acheter mon billet, j'ai tous les conseils requis pour une année en NZ. Beau travail et sympa de partager votre expérience et votre vécu.